All contracts between Woolbro (Distribution) Ltd. (a company registered in England & Wales at Broomfield House, Bolling Road, Bradford, West Yorkshire, BD4 7BG with company number 02976465, which is referred to below as “we” “us” or “our”) and you (being the person who signs this document for the purposes of opening a business account with us, or to whom we may supply any goods) shall be governed by these terms and conditions (“conditions”). These conditions shall also govern all contracts between you and any parent or subsidiary company of us (or any company within the same group of companies as us). The products that we sell (“goods”) are shown on our website at rapideproducts.co.uk or in the electronic catalogue made available to you on the electronic devices of our sales reps (“website/sales catalogue”). We only supply to business customers who have an account with us. You may issue orders to us via our main trading website, via one of our sales reps, or by fax, email or telephone. the order being within the limits of credit (if any), or any other limits to orders being made on your account, that we have previously notified to you. 1.5 These conditions shall apply to and govern the contract between you and us, to the exclusion of any terms and conditions, purchase orders or other documents issued by you. 1.6 You acknowledge that you have not relied on any statement, promise, representation, assurance or warranty made or given by or on our behalf which is not set out in these conditions or on our website/sales catalogue. The price of goods is as set out on the website/sales catalogue (subject to the remaining provisions of this clause 2), and excludes VAT (unless otherwise stated). VAT will be charged at the rate applying at the time of delivery. The price quoted includes delivery within the UK (unless otherwise stated). At any time before delivery we may adjust the price to reflect any increase in our costs of supplying the goods (or if we are buying in the goods to supply to you, any increase in the price at which we buy those goods in). Our website/sales catalogue contains a large number of goods. It is always possible that, despite our reasonable efforts, some of the goods on the website/sales catalogue may be incorrectly priced. If we discover an error in the price of the goods you have ordered we will contact you to inform you of this error and we will give you the option of continuing to purchase the goods at the correct price or cancelling your order. We will not process your order until we have your instructions. If we are unable to contact you using the contact details you provided during the order process, we will treat the order as cancelled and notify you in writing. Please note that if the pricing error is obvious and unmistakeable and could have reasonably been recognised by you as a mispricing, we do not have to provide the goods to you at the incorrect (lower) price. 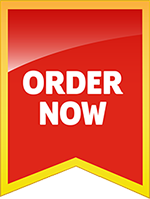 We have a minimum order value, and a minimum despatch value, which shall be notified to you (and which we may change on notice to you from time to time). We shall not be obliged to accept orders, or despatch goods to you, below such minimum values. We reserve the right to adopt different minimum values for orders/deliveries outside of the United Kingdom. We shall deliver to the delivery address shown on your account opening form, or such other address as we may agree. We will endeavour to contact you (by telephone or email) to agree a delivery date with you, when the goods are ready to be despatched by us. If you fail to accept delivery of the goods on such date, or if we cannot deliver the goods for the reasons set out in clause 3.5 below, we reserve the right to charge (and you shall pay) a re-delivery charge at our standard charge rates from time to time, for any further attempted delivery by us. 3.5.2 The delivery premises (or the access to them) are unsuitable for the delivery vehicle. Delivery takes place when we deliver the goods to your address as described in clause 3 above (or the time when we tried to deliver but were unable to do so due to your default). You must inspect the goods on delivery. If any goods are damaged or not delivered, you must write to tell us within five working days of delivery or the expected delivery time. You must give us (and any carrier) a fair chance to inspect the damaged goods. You are to pay us in cash (or other cleared funds) on or prior to delivery unless we have given to you (in our absolute discretion) an approved credit account. If you have an approved credit account, payment is due no later than 30 days after the date of our invoice (which will usually be issued on delivery of the goods to you) unless otherwise agreed in writing. recover the costs of taking legal proceedings against you. If you have an approved credit account, we may without notice withdraw it or reduce your credit limit or bring forward your due date for payment. You shall indemnify us in full and hold us harmless from all expenses and liabilities we may incur (directly or indirectly and including without limitation legal costs on a full indemnity basis) as a result of any breach by you of any of your obligations under these conditions. In consideration of supplies being made by us to the limited company named on this credit application form the individual signing these conditions hereby jointly and severally guarantees and agrees to pay such sums as may be due to us in so far as the same may from time to time remain outstanding. any other goods that we have supplied to you in respect of which payment has become due. you become insolvent or are in breach of this contract. We give no other warranty (and exclude any warranty, term or condition that would otherwise be implied to the fullest extent permitted by law) as to the quality of the goods or their fitness for any purpose. If the goods are found to be defective in material or workmanship (following our investigations and provided you have complied with clause 7.3 in full) we will (at our option) replace the goods or refund the price of them. Our total liability to you (from one single cause) for damage to property caused by our negligence is limited to £2,000,000. For all other losses or liabilities not referred to elsewhere in these conditions, our liability is limited to a sum equal to ten times the value of the specific goods in respect of which the liability arises. Nothing in these terms restricts or limits our liability for death or personal injury resulting from negligence or for fraud. where the goods are as fit for sale on their return as they were on delivery to you. Clause 10 of these conditions applies (except to the extent that it is inconsistent with any written agreement between us) where we supply the goods over an international border or overseas. Delivery terms shall be as separately agreed between us but if not separately agreed, the goods are supplied ex works from our premises. Where the goods are to be sent by us to you by a route including sea transport we are under no obligation to give a notice under section 32(3) of the Sale of Goods Act 1979. You are responsible for any import taxes and for arranging testing and inspection of the goods at our premises before shipment (unless otherwise agreed). We are not liable for any defect in the goods which would be apparent on inspection unless a claim is made before shipment. We are not liable for any damage during transit. We are not liable for death or personal injury arising from the use of the goods delivered in the territory of another state (within the meaning of s.26(3) (b) Unfair Contract Terms Act 1977). you fail to honour your obligations under these conditions. expressly stating an intention to vary these conditions. All orders that you place with us will be on these conditions (or any that we may issue to replace them). If we are unable to perform our obligations to you (or able to perform them only at unreasonable cost) because of circumstances beyond our reasonable control, we may cancel or suspend any of our obligations to you, without liability. English law is applicable to any contract made under these conditions. The English and Welsh courts have non-exclusive jurisdiction. If you are more than one person, each of you has joint and several liability for the obligations under these conditions. Any notice by either of us which is to be served under these conditions may be served by leaving it at or by delivering it to (by first class post) the other’s registered office or principal place of business. All such notices must be signed. No contract will create any right enforceable by virtue of the Contracts (Rights of Third Parties) Act 1999 by any person other than you and us.